These images capture some of the key moments from the day-long joint MIYCN-FP-Immunization meeting on June 14, 2017. 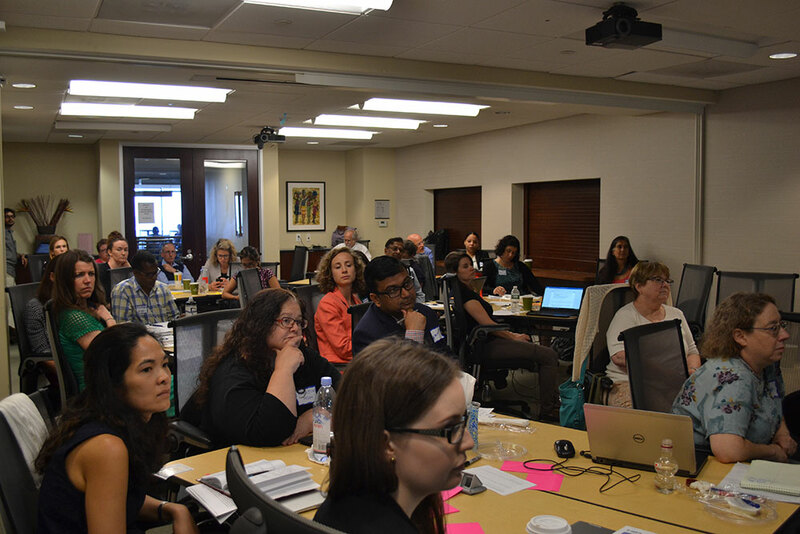 The 46 attendees (plus 13 remote participants) listened to eight technical presentations facilitated by their colleagues and engaged in large-group plenary discussions as well as small-group breakout sessions. 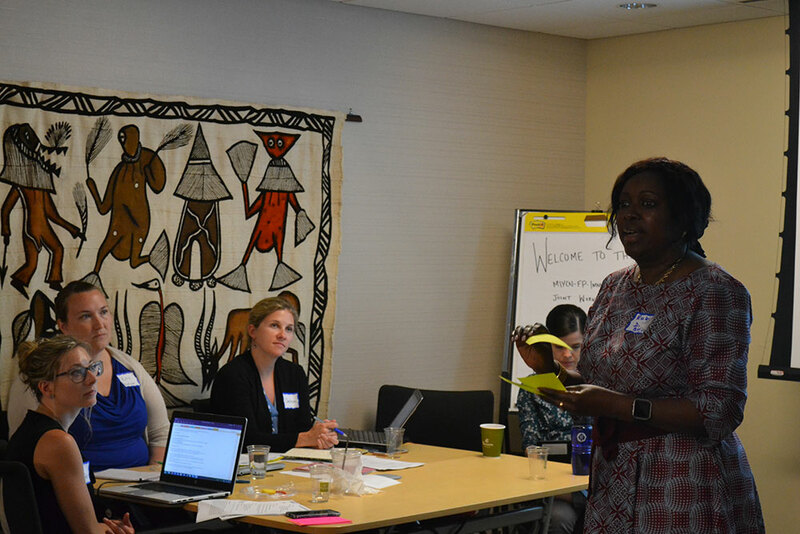 The goal of the meeting was to share experiences, findings, and lessons learned in order to identify ways to increase synergy and use existing platforms to integrate and strengthen provision of nutrition, FP, and immunization services. 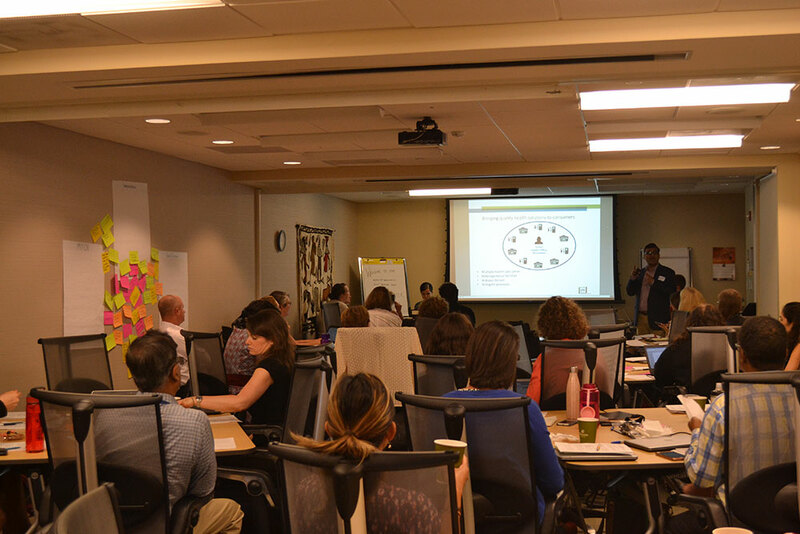 Kallol Mukherji (PSI) presents on integrating quality assurance across services. 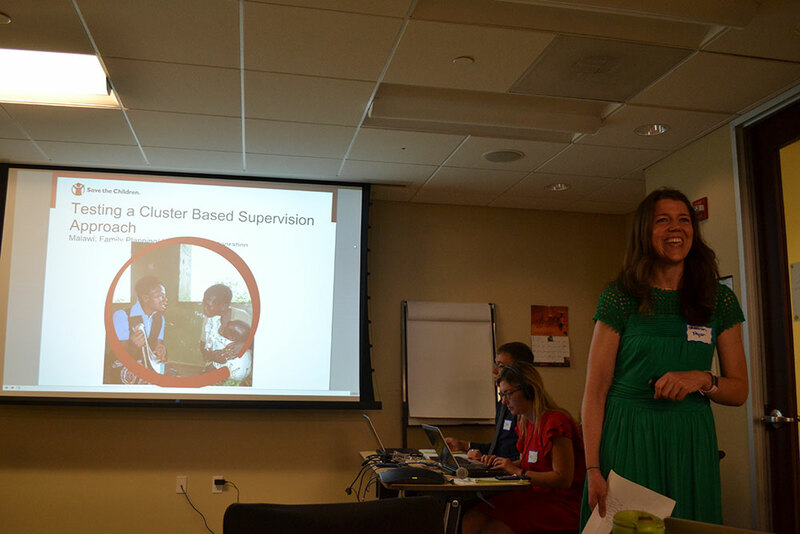 Shannon Pryor (Save the Children) discusses testing a cluster-based supervision approach in Malawi. Rodio Dialo (BMGF) describes her experience with integration in Mali. Meeting participants focus on a presentation. 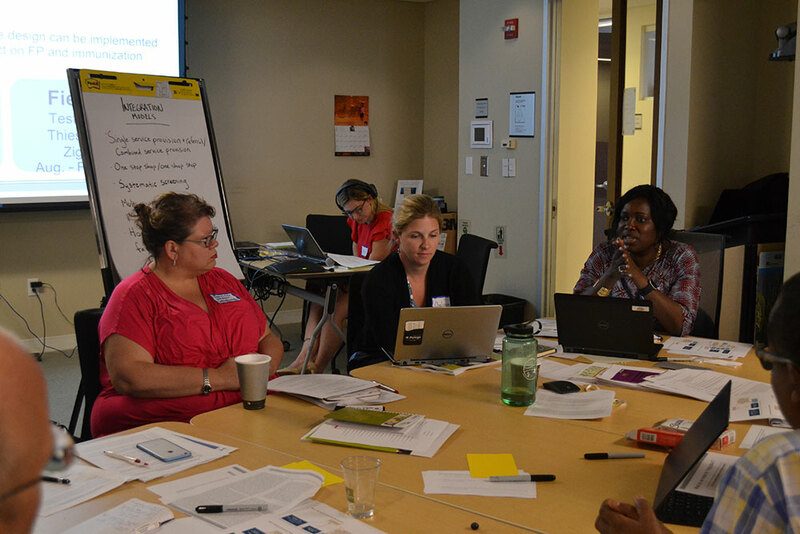 Participants discuss service integration models in a breakout session. 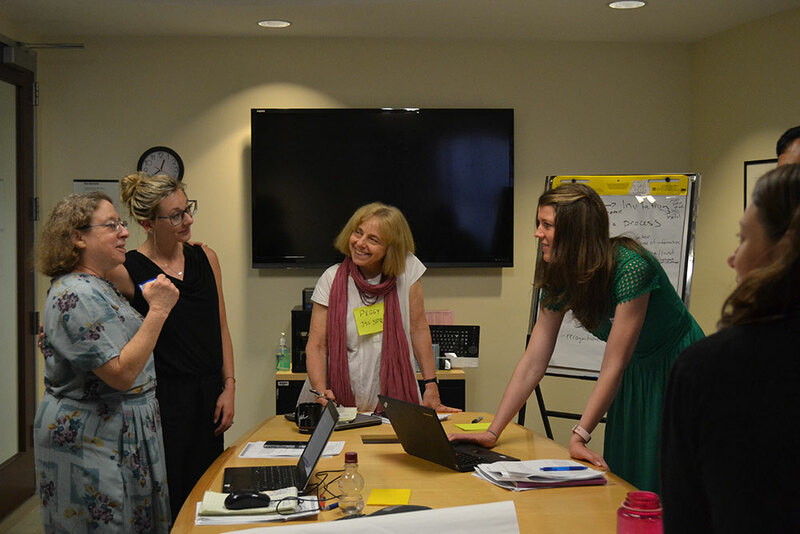 SPRING SBCC Team Lead Peggy Koniz-Booher facilitates a discussion on Referral Systems/Pathways in a breakout session. 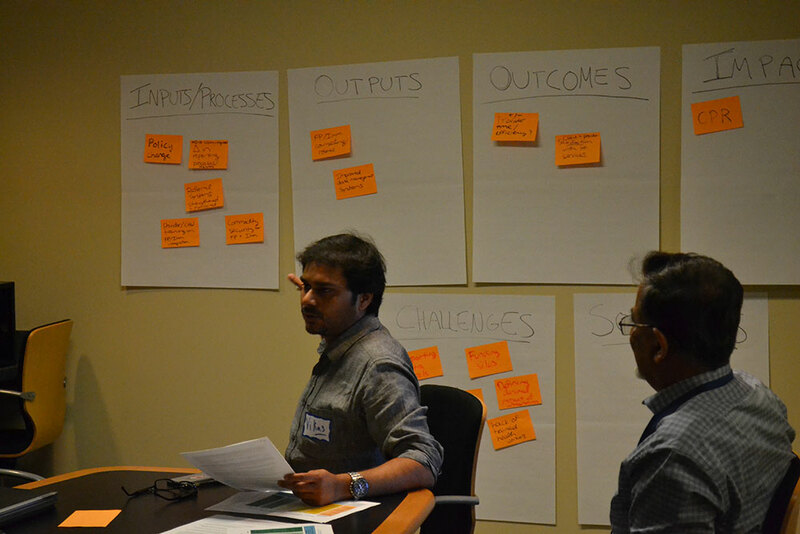 Participants discuss M&E frameworks in a breakout session. 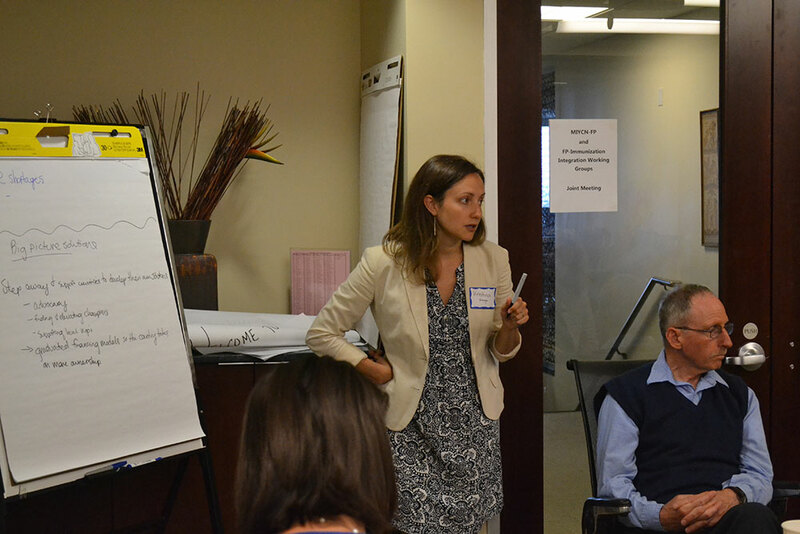 SPRING SBCC Manager Kristina Granger leads a breakout session on challenges and solutions to health system service integration.